a christmas MUST for me this year is a faux fur vest. i love big & comfy clothes and nothing says comfortable & stylish like a fur vest in the winter. how cute do these girls look??? 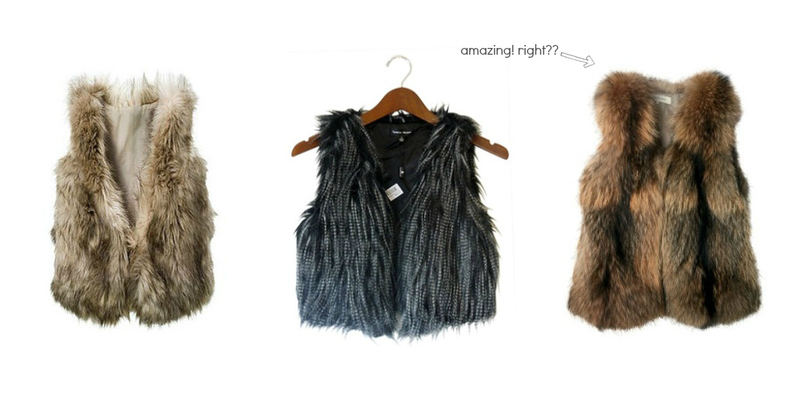 a fur vest can easily dress up a plain outfit & make you look effortlessly put together. i am still trying to find the perfect vest, so any suggestions would be greatly appreciated!